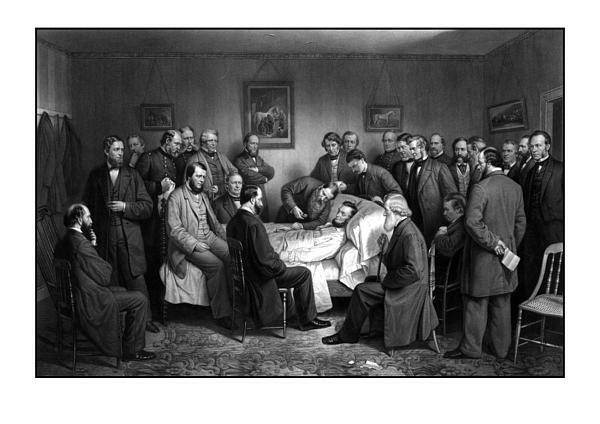 At 2 am this morning, 150 years ago, President Abraham Lincoln succumbed to the gunshot wound inflicted on him by the actor John Wilkes Booth during a performance of “Our American Cousin” at Ford’s Theater. The American Civil War had ended just days earlier, and given Booth’s allegiance with the Confederacy as a staunch anti-abolitionist, Lincoln’s death was seen essentially as the last casualty of the war. According to legend, War Secretary Edwin Stanton marked the moment with the line, “Now he belongs to the ages,” which seems prescient given how Lincoln always finishes first or second in polls about what president is people’s favourite, or most influential. Lincoln wasn’t the first U.S. President to die in office, but he was the first one assassinated, an act that was doubly shocking for the fact that it was so very public and for its startling timing. Lincoln wasn’t the last president to fell by an assassin’s bullet, but his leadership during the single biggest threat to American sovereignty in its history, and the fact that he “left the stage” before having to truly dig into the difficulties of reconstruction and reconciliation, made him all the more legendary. Who knows what a second Lincoln term in office might have looked like? I doubt the reinstatement of the Union would have been much easier with the man who presided over, what remains, America’s biggest blood bath still in the presidency, but still, what more could have a great thinker, and a great orator like Lincoln have given us? We’ll never know. About the same hour an assassin, whether the same or not, entered Mr. Sewards’ apartments, and under the pretence of having a prescription, was shown to the Secretary’s sick chamber. The assassin immediately rushed to the bed, and inflicted two or three stabs on the throat and two on the face. It is hoped the wounds may not be mortal. My apprehension is that they will prove fatal.